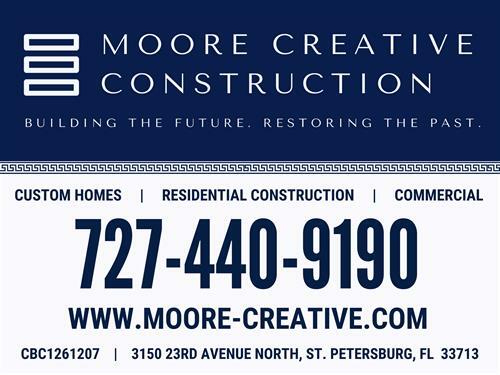 Moore Creative Construction was founded by Sam Moore, a licensed Building Contractor in Saint Petersburg, Florida. 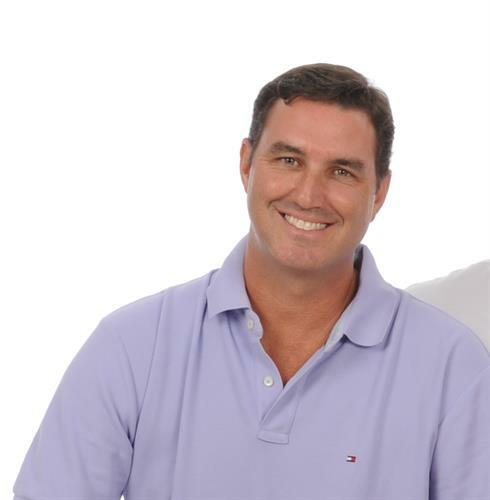 We are experts in remodeling and renovating homes in St. Petersburg and all of Tampa Bay. Our Licensed FL Contractor and professional design team, does beautiful work from start to finish. 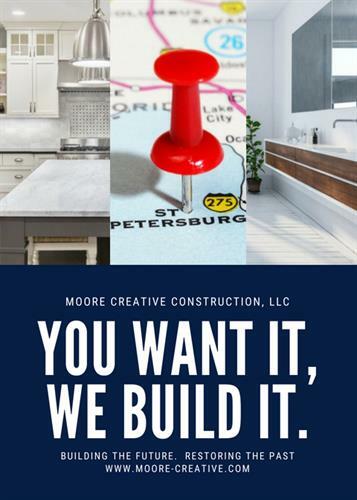 It is truly unparalleled, and each member of the Moore Creative Construction team – from designer to project manager to certified installer, knows that your satisfaction is our number one priority. We have an excellent reputation for delivering excellent results. We treat our customers like family, because we realize you are allowing us into your home and lives. Please review our remodeling photos, read our testimonials, or call us to learn more about how we can help realize your remodeling dreams. Call us Today at 727-440-9190 so we can learn more about your project.